The Gray Report: Can you bring cheese into the U.S. from Europe? YES YOU CAN! Can you bring cheese into the U.S. from Europe? YES YOU CAN! First, the short answer: if you are flying home from Europe or elsewhere, you can bring cheese into the U.S. for personal consumption. I'm writing this post to counter persistent misinformation, even from what one would think are reliable sources. I hope that some editor at USA Today sees this blog post and corrects this completely wrong story. This was the No. 1 result when we searched for an answer to the question last month in France. Yo Google, help me out here -- make my post with the correct information No. 1 please. Last month I had a long and frustrating argument at a duty-free shop in Lyon, France. I wanted to buy three raw-milk cheeses: a Roquefort, a Reblochon and a hunk of Beaufort. The clerk refused to sell them to me. She said I could not bring them into the U.S.
After insisting first that I was right, and second that the risk was mine not hers, I asked to speak to her supervisor. She also refused to sell me the cheese. Most people would have given up. The supervisor in the duty-free shop must know U.S. law, right? Yes you can bring this cheese into the US! And you should. In fact, I had this argument the night before. I tried to tell some American colleagues -- wine and food writers, who also should be knowledgeable -- that they could bring cheese into the U.S. I told them to check on their smartphones and guess what story came up first? That fictitious USA Today story. The second link was a Huffington Post story that punted on the answer. Then came another story that also got it wrong and linked only to the USA Today story. But you can bring almost every kind of cheese into the U.S., and I do, every time I go to Europe. I generally only buy raw-milk cheese because if the milk is pasteurized, I can buy that same cheese in San Francisco, so what's the point? Raw-milk cheese is more complex, more fragrant (or stinky if you prefer), more flavorful. It's also totally legal to bring into the U.S. for personal consumption. l think USA Today confused the regulations for imports with those for products for personal use. 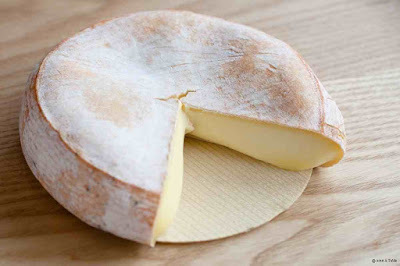 It's difficult to import raw-milk cheese for sale. So don't sell your souvenir cheese: eat it! I have Global Entry, which I recommend. I declare food every time I bring it in, so I speak with a border patrol agent almost every trip. For food, all they care about is meat and fresh fruits and vegetables. I don't want to get into the minutiae of those regulations (they're here). I never bring back fresh produce. If I don't have a meat product, Customs doesn't even want to look at my food. I could not convince the other wine and food writers to bring back cheese. If you declare that you have food, you are safe even if your sausages in a jar are not: Customs might take those away, but you will not get in any trouble. Once I bought a raw-milk Époisses, one of the stinkiest of all cheeses, in Burgundy. I flew home on KLM with the Époisses in the outer compartment of my checked bag. My bag didn't make the transfer in Amsterdam and spent a night there at room temperature. It arrived in San Francisco the next day after 5 pm and spent ANOTHER night at SFO at room temperature. The following day, when a KLM representative came to my building to deliver the bag, I could smell the Époisses inside my apartment the moment he got off the elevator down the hall. Can't imagine what he thought delivering it, but it tasted fantastic. So how did my argument with the French duty-free clerks end? Well, you know the most beloved phrase in France is, "It's not possible." Eventually I got wifi, loaded up the official U.S. Customs page (here again), and showed it to them. She sullenly sold me the cheese, still saying, "But they will take it away." If it was a small cheese shop*, it would have been a pleasure to walk away without buying, but the duty-free store is a big international company, so I walked away with the cheese. And the cheese was marvelous. I had a happy ending. And so can you! Yes you can. A good explanation of the true state of affairs; one I've known for a long time but a lot of people who should know, don't. Like the author of the USA Today article (which I haven't read yet), and the people at the duty free shop. I was going to say: Don't waste your time and money at duty free (on pretty much anything). But then I saw you explanation as to why you went there. Two comments, though: (1) as to Roquefort and Beaufort, the first is always raw milk, and I believe the second may also be. 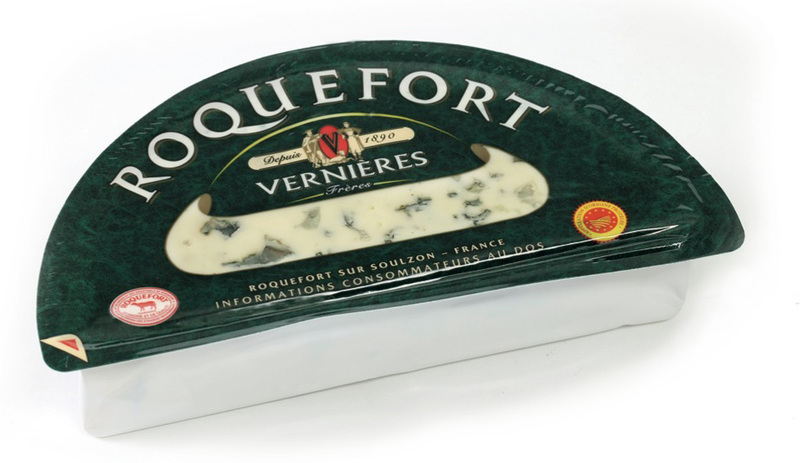 So if you find them in the US (Roquefort is easy to find), they should be raw milk. (2) " It's difficult if not impossible to import raw-milk cheese for sale." It's not particularly difficult, as long as it's been aged the requisite number of days (I believe it's 60). If it's not, it's impossible, at least to do so legally. And I do agree with you about raw milk versus pasteurized, and when we visit France we pretty much only buy raw milk, to eat there and to bring home. As a follow-up, I just read the USA Today article you mention. How does such inaccurate stuff like that get published in a semi-reputable paper? It's full of misinformation and inconsistencies. Like: "The Department of Agriculture does not approve any cheeses that are unpasteurized or that have been aged less than 60 days." What's with the "or?" Or: " passengers can't bring unpasteurized cheese through U.S. Customs" No comment as to this falsity, except that months ago we brought 25 unpasteurized goat cheese rounds through U.S. Customs. As did you.